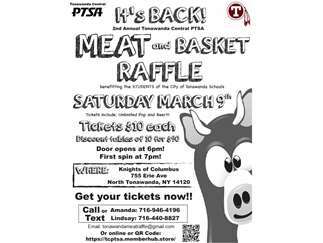 Tonawanda Central PTSA 2nd Annual MEAT and Basket Raffle! Back by popular demand!! Bring some snacks, win some MEAT and have a great time! Proceeds go to benefit the Students of the City of Tonawanda School District!